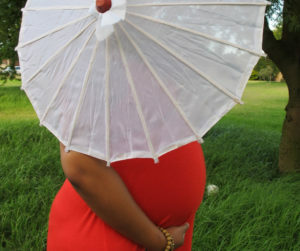 There is so much to think about when you are pregnant, like what to eat, what to wear and even what name to choose. With a never ending ‘to do’ list, self care and posture are the last things to be considered. 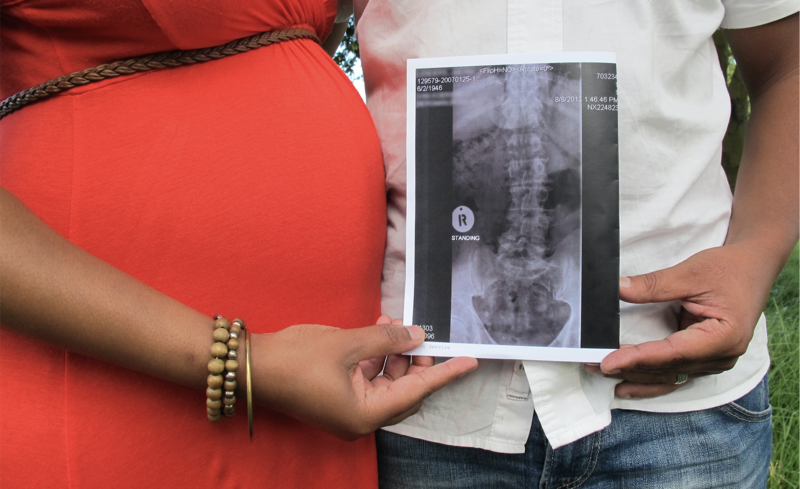 Lower back pain is a common side effect of pregnancy. 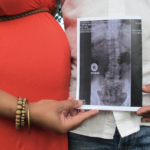 This special time in a woman’s life could unfortunately be overshadowed by a dark cloud of back pain, which in some cases could have been avoided all along. 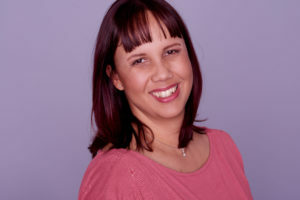 So be kind to yourself AND your body and follow these practical tips for back pain by guest writer and pelvic health physiotherapist, Celeste Andrea. Pregnancy is an amazing process! Your body constantly changes and adapts, as your foetus rapidly develops. Sometimes, as a result of these changes, you may experience back pain. This can occur in women who have never had back pain before and is often due to hormonal and postural changes. The hormone, relaxin, gets released early on in pregnancy, around 6-8 weeks, and continues to rise well into the second trimester. This causes ligaments to soften in the third trimester, allowing the pelvis to widen and deepen, to accommodate a growing baby and prepare for birth. As your baby grows, there is added pressure on your spine, which can alter your centre of gravity and posture. The effect of a growing tummy stretches your abdominal muscles and often results in a pronounced arch in your lower back, also know as a lordosis. Overactive muscles in the lower back are forced to work even harder to maintain this position, resulting in lower back discomfort. This is often felt when standing or walking for long periods of time. Stand evenly on both feet and avoid prolonged standing or walking. Sit upright and evenly on both ‘sit bones’ and do not cross your legs. Rolling up a hand towel and placing it in the hollow of your lower back can assist with sitting upright and works just as well when sitting in the car. Try to avoid heavy lifting. If you must lift lighter objects, gently draw in your deep abdominal muscles and ALWAYS bend your hips and knees when reaching down for the object. When carrying young children, hold them in front of you, rather than on one hip. Place a thick supportive pillow (preferably a pregnancy pillow) between your knees when lying on your side. To roll over in bed, press your knees together, gently activate your deep tummy muscles, then roll. Get into the car (or bath) by sitting on the seat facing away from the car, then bring both legs into the car at the same time. Reverse the movement to get out again. The all-fours position helps unload your lower back and pelvic tilts are excellent for mobilising your back. Tilt your pelvis backwards and forwards (flattening and arching your back) 5-10 times. This can be done in sitting, standing or side-lying; as needed for backache. See video 1. Your deep abdominal support muscle can be activated by placing your hand under your bump, inhale and as you exhale gently draw your tummy in away from your hand, imagine you are ‘hugging your baby’. Hold for up to ten seconds, breathing normally, repeat ten times. Use this muscle activation technique during activities like rolling in bed, lifting or carrying shopping and getting up from a chair. 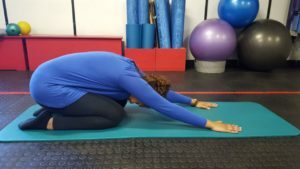 Shell stretch: Go down onto your hands and knees and slowly sit back onto your heels, or as far as your back pain allows you to. Hold this stretch for 20 to 30 seconds. Take your arms to the left and right side for a deeper, unilateral stretch. *This stretch could aggravate pubic pain, so is not indicated in this instance. If the pain becomes unbearable, it is advisable to consult a physiotherapist, who can provide hands-on treatment and a safe exercise program suitable for your stage of pregnancy.